We have one "Love Potion #9" candle to give away to one lucky reader! 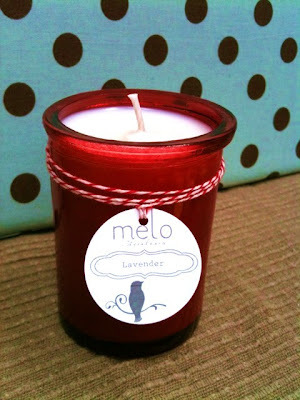 The lovely ladies at Melo Studios were so excited to share this with us and for good reason - it smells amazing! Plus, all of their candles are all natural and are made with recycled or reclaimed glass so you can feel even better about it! Want to win this candle? Just send us a comment on this message or any February post. We will pick one winner at random on Monday afternoon. ooo I want to smell it!